Singapore property investors are dipping their toes into homes in the Emerging market of Cambodia real estate, though in relatively small numbers. In August, Singapore Mainboard-Listed developer – Oxley Holding, preview launch Tower 1 of the 55-storey The Peak in Singapore. Only 16 levels of the 507 units Tower One was released in Singapore Preview Launch. A number of Studio units, out of 32 units released were snapped up by investor following the launch. According to Developer’s releases information, a Memorandum of Understanding were signed between them and Shangri-La Holding dated back to 23 October 2015 and a further agreement with Shangri-La international hotel management Limited to manage and operate hotel in Phnom Penh was released on 27 April 2015. Following Singapore Preview Launch, it will be Taiwan and then Cambodia Preview Launched. Construction for the development is estimated to conclude in Dec of 2020. According to Phnom Penh Post, the developer earlier project – The Bridge which is estimated to complete in 2018, had seen 100 per cent of the development’s residential 762 apartments, penthouses and residential units been taken up and the others SOHO units about 80% sold. Meanwhile in March, a Singapore developer – Yuen Development, launched phase one of the 17-storey La Vie Residences in the capital Phnom Penh and also Cambodian developer SGPD Corporation launched The Skyline on May 24, a mixed development in the heart of Phnom Penh’s central business district. According to Asiaone, Yuen Development chief executive Darren Yap said 60 per cent of the 180 units (Phase One) in the Chroy Changvar precinct have been sold. Also, Anthill Realtors, the agency managing sales, has reported that 70 per cent of the 792 residential units had already been sold since the preview in March. Buyers of all the earlier development comprises of Investor from Singapore, Taiwanese and Cambodians with the bulk of them being Cambodian. “As a foreign investor, you want to buy a product that local people want to buy, because it is safer for a resale market.” Said Ms Rhonda Wong CEO of Anthill Realtors. Many buyers were entry-level investors drawn by guarantee rental yield. Another draw is that for some others projects such as The Peak, buyers fork out only half the purchase price before completion. Looking forward, with more and more development becoming available to Singapore’s Investor, Cambodia will become the next investment hotspot in Singapore. Congrats R&F Princess Cove for winning the People Choice Awards .Best Development in Malaysia. R&F Development SDN BHD has won ASIA PACIFIC PROPERTY AWARD 2015-2016 in the category of Interior Design Show Home for R&F Princess Cove for Malaysia. The International Property Awards, which recognizes and rewards the best interior designers in the world, invited companies in the Asia Pacific region to present our finest work which judging by 70 global experts and chaired by three members of the UK’s House of Lords, scrutinized hundreds of entries. Promo: Studio from RM580K, 2Bedroom from RM800K, 3Bedroom from RM900K. Price before Discount! Special approval granted by Authority, Foreigners can buy below RM1 mil on R&F Princess Cove now! SMS/Whatsapp “R&F” / CALL +65-91259978 or email: alvintaykongwei@gmail.com or simply click the button on the right. Guangzhou R&F Properties Co., Ltd. is one of the tycoon property developers in China, listed on the Hong Kong stock exchange. Studio from RM580K, 2Bedroom from RM800K, 3Bedroom from RM900K only. Price Quoted before Discount! Don’t Miss! Exclusive new 1, 2 & 3 bed apartments located minutes from London’s dynamic centres of global commerce and finance – The city & Canary Wharf. Now from only £80K Cash! Marina Wharf East boosts its unique location beside London’s largest marina, South Dock Marina, famous for its central location and huge capacity of 200 berths. Despite being rich in heritage, Surrey Quays has been transferred into a vibrant township for modern living. Surrey Quays shopping center houses a number of favorite restaurants, cafes, shops, including Tesco Superstore. Marine Wharf East comprises two principal buildings – Canary Point and Harbourside, offering an executive choice of contemporary 1, 2 and 3 bedroom apartments. The site includes approximately 1800 square meters of landscaped public open space and two courtyard gardens, providing ample spaces to relax and enjoy. Marine Wharf East has been designed to maximize on natural light with virtually all apartments having a private terrace or balcony, with many apartments in Canary Point enjoying extensive terrace space and superb view towards River Thames, Canary Wharf and South Dock Marina. Marine Wharf East has been very well positioned to provide the ideal solution to today’s demanding schedules and busy lifestyles. It is ideal for anyone who wants to work, study or live close to the heart of London, yet still provides a calm and relaxing environment, with green, landscaped surroundings close to the river. SMS ‘MWE’ & YOUR NAME TO Alvin Tay (+65)91259978 or simply click the button on the right. – Choice of exclusive 1, 2 & 3 bedroom apartment styles. – Two communal landscaped courtyard gardens. – All apartments with private terrace, balcony or roof terrace. – 1800 sqm of open space, 1 minute away from Thames Path Walk that stretches for 40 miles along the river. – Secure lower ground parking and cycle storage available in both apartment blocks. – Each apartment finished and equipped to Galliard Homes’ premier specifications, including rustic oak engineered timber flooring and Smeg kitchen appliances. – Two passenger lifts serving each apartment core and lower parking levels. – Many apartments with panoramic views towards Canary Wharf, the River Thames and South Dock Marina. – Green roof ecological sustainability to both apartment blocks. – Soft and hard landscaped Home Zone division integrating apartment blocks and communal access. – Car Club bay within Home Zone. SMS/Whatsapp “MWE” / CALL +65-91259978 or email: alvintaykongwei@gmail.com or simply click the button on the right. SMS/Whatsapp “MWE” to +65-91259978 or simply click the button on the right. Galliard Homes has a solid 25-year track record in delivering quality homes in London. Galliard Homes is widely recognized as London’s leading developer focusing on high-end developments located in regeneration areas identified to have long-term growth potential and excellent transport connections. Galliard Homes development portfolio within London consists of over 1.1 billion of new development providing a mix of some 6000 new apartments, houses, townhouses and penthouses. THOMSON THREE @ Bright Hill Drive (off upper thomson road) is a brand new residential development from a joint venture between UOL Group and Singapore Land. THOMSON THREE is set to be the envy of many with the beautiful architecture and is designed to provide residents a rustic experience in luxury living with magnificent view of Reservoirs and Singapore Island Country Club Golf Course. It is also within a few minutes walk to the future Upper Thomson Mass Rapid Transit Station, sprawling on more than 140,000 sqft of land and 445 units of apartments and strata semi-detached units catering to the diverse affluent locality. There is nowhere else like Thomson. And from this prestigious district rises the spectacular Thomson Three. Upper Thomson district are better known for the greenery with the abundance of nature reserves and water catchment areas than as a residential hot spot, with few options for home buyers as a result of low housing supply in the area, but that is set to change with major projects taking shape, such as the upcoming Thomson MRT Line combined with the unique Upper Thomson precinct. Upper Thomson MRT Station, located near Thomson Three and Thomson Plaza, will be part of the $18 billion Thomson Line which is slated for completion by 2020 connecting you to Orchard, Central Business District and Marina Bay area. Back home in the Upper Thomson district, dwellings are mainly landed housing and clusters of condominiums around Bright Hill Drive, Sin Ming estate and demands are expected to increase significantly once the area becomes more accessible with the new Thomson Line (TSL) stations. It will be a much more vibrant and popular place in time to come, with leasing demand in Upper Thomson rising as more budget-conscious expatriates moving out from the central location to city fringe and suburban areas. Be One of the first few to benefit from the First-Mover Advantage by Registering for Thomson Three Pre-launch Viewing now! Apart from the good location with great accessibility to town, residents of Thomson Three Condo will also be well served by a host of amenities such as Thomson Plaza, a short stroll away and also with a diverse mix of numerous popular eateries and retail store from the stretches of shophouses. This brand new residential development will also be an ideal home for families looking for school placement as it is within close proximity to Top Schools like Ai Tong Primary, CHIJ Saint Nicholas Girls’ School, Catholic High School and also Raffles Institution which is a very short drive away. Superb Facilities Spread Over 21 Floors! Own Thomson Three. Don"t Miss Out This Opportunity! SMS ‘ThomsonThree’ & YOUR NAME TO Alvin Tay (+65)91259978 or simply click the button on the right. SMS/Whatsapp “ThomsonThree” / CALL +65-91259978 or email: alvintaykongwei@gmail.com or simply click the button on the right. – Close to the serenity and tranquility of nature with MacRitchie Reservoir, Lower Seletar Reservoir and Bishan – Ang Mo Kio Park in the vicinity. Tree Top Trail just a short trip away. – Situated at the heart of a highly sought-after area; in a private residential enclave with landed properties in the neighbourhood. – 4 mins’ walk to popular Thomson Plaza, which has a wide myriad of dining places, shops, enrichment centres and also NTUC Finest. – 1 min’s walk to the upcoming Upper Thomson MRT Station (tentatively ready by 2019) connecting to four MRT Interchange stations such as Caldecott, Steven, Outram and Marina Bay. Good connectivity to the rest of Singapore via MRT. – Ai Tong School (within 1 km radius), CHIJ St Nicholas Girls School (within 2 km radius), Raffles Institution, Catholic High School and many other educational institutions ranging from primary to tertiary level nearby. – Gastronomic pleasures and upbeat entertainment located just around the neighbourhood with Thomson Longhouse, Shunfu Food Center, shophouses along Upper Thomson road and Casuarina Road. – Prestigious Singapore Island Country Club and Golf Course located in the region. – Well connected to the rest of Singapore through CTE, PIE and SLE and Future NSE. SMS/Whatsapp “ThomsonThree” to +65-91259978 or simply click the button on the right. – Located in the prime location of district 20. – Development by renowned developers, UOL and SingLand. – Iconic modern architecture, efficient layout, high quality finishes and fittings. – Easy accessibilty to all parts of Singapore with the upcoming Thomson MRT. – Healthy lifestyle at MacRitchie Reservoir Park, SICC and Tree Top Walk. – Popular school nearby, Ai Tong School, CHIJ St.Nicolas, Catholic High, Raffles Institute, Raffles JC. 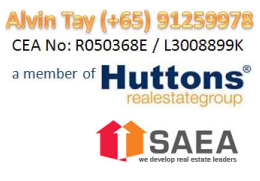 – Popular amenities nearby, Thomson LongHouse, ShunFu Food Centre, Sembawang Hill Food Centre and Mayflower Market. Cambodia Investment Opportunity - Which location to invest in ? Adana @ Thomson is a new residential development that consists of 3 blocks of 5 storey apartments. Adana bring out the earthy beauty flavors of the development as it is located near to Lower Peirce Reservoir, connecting residents to nature. All units are well positioned to either have the nature surrounding view of the pool view. TOP expected to be in 2018. Designed with nature in mind to blend in the surrounding, Adana at Thomson is an award winning LEAF Certified Development for its design and landscaping. The rooftop is covered with a green garden scape, inter-weaved with walkways, BBQ and also a jogging track. Your gateway to lower Peirce reservoir and nature starts here. Adana @ Thomson is positioned in a wonderful location because the residents here will e able to enjoy beautiful panoramic reservoir view as well as fresh air everyday. The recreational facilities will also fascinate buyers here at Adana @ Thomson. The exciting outdoor activities such as the beautiful pool up to the cozy garden will impress residents once one step out of each unit. Residents can expect to enjoy these recreational facilities; which are thoughtfully designed for you only at the Adana @ Thomson. Moreover, this development enjoys easy accessibility and connectivity if you travel via major expressways and roads; such as the Central Expressway (CTE), the Pan Island Expressway (PIE), Upper Thomson Road, Marymount Road, Lornie Road, etc. which will connect you to the town. As for public commuters, the public transport connection will make travelling a bliss as the upcoming Thomson Line MRT is also a couple of minutes’ away from this residential development. Adana @ Thomson is one of the few mixed developmental estates that are committed to customizing the floor plans in order to meet the needs of potential clients and residents. Nothing like a home sweet home after a hard day of work. Adana @ Thomson ’s location is ideal for families or tenants who wish to invest on a serene neighborhood. Nearby Central Catchment Nature reserve further enhance the quietness atmosphere. Head for a jog with nature surrounding you. The top-of-the line finishes of the property indicates that the safety and comfort of the future residents are on the top list. Furnished with branded appliances for a more convenient lifestyle, you will surely love your home here. Own Adana @ Thomson. Don"t Miss Out This Opportunity! SMS/Whatsapp “Adana” to +65-91259978 or simply click the button on the right. SMS/Whatsapp “Adana@Thomson” / CALL +65-91259978 or email: alvintaykongwei@gmail.com or simply click the button on the right. -Close to the serenity and tranquility of nature with MacRitchie Reservoir, Lower Seletar Reservoir and Bishan – Ang Mo Kio Park in the vicinity. Tree Top Trail just a short trip away. enrichment centres and also NTUC Finest. Marina Bay. Good connectivity to the rest of Singapore via MRT. from primary to tertiary level nearby. SMS/Whatsapp /Line “Adana@Thomson” to +65-91259978 or simply click the button on the right. After a long day of work, residents can find peace and solace back home. Adana @ Thomson is located in a serene neighbourhood in a landed enclave. Residents or tenants can stroll or jog at the nearby nature reserve and kayak at the Macritchie Reservoir during the weekends. Or simply chill out at the plenty of hip restaurants and good food along Upper Thomson Road. Families will rejoice as the nearby Thomson Plaza cater to plenty of enrichment schools, entertainment and shopping for the whole family. Nearby shopping and numerous amenities include Bishan Junction 8, Nex Mall and AMK Hub.